Eating disorder is a serious psychiatric condition related to abnormal eating habits and behavior. It has a debilitating impact on one’s health, emotions and a potential to take over life. An eating disorder can develop at any age but generally appears during adolescence. Low self-esteem and a warped perception of body image often lead to dangerous dieting behaviours in teenagers. According to National Association of Anorexia Nervosa and Associated Disorders, at any given time between .03-0.4 percent of young women and 0.1 percent of young men typically suffer from anorexia nervosa and 1.0 percent of young women and 0.1 percent of young men meet diagnostic criteria for bulimia nervosa. In India, eating disorders are relatively less and hugely unrecognized owing to the lack of research and awareness around mental illness. However, this is gradually rising in India due to western construct of “thin is beautiful’ and the societal pressure. The week starting 25th Febrauary to 3rd March is dedicated to creating awareness and fighting the various myths and misunderstandings that surround eating disorders. What are its various types or forms? 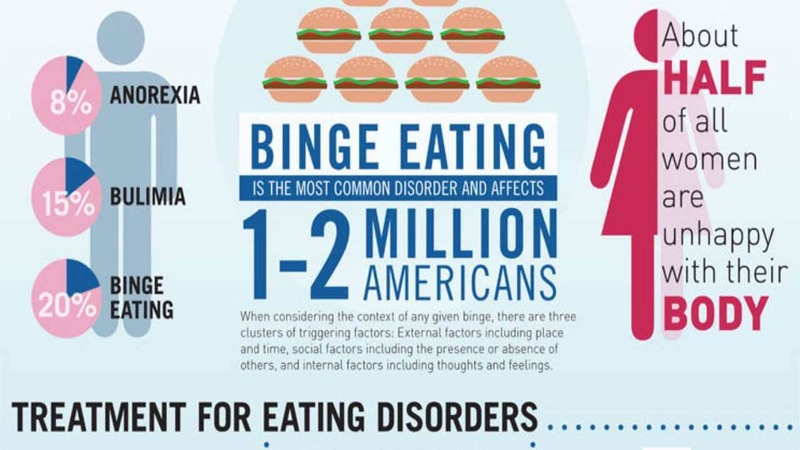 The most common forms of eating disorders are anorexia nervosa, bulimia nervosa, and binge-eating disorder. Anorexia nervosa, otherwise simply referred to as Anorexia is a potentially life-threatening disorder. 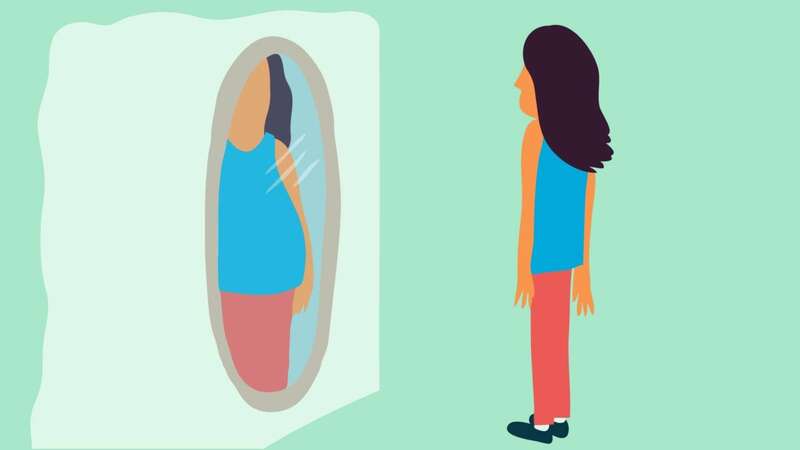 Most people with Anorexia restrict the intake of food because they perceive themselves as overweight and fear that eating will result in weight gain. Efforts to reduce weight when one is clearly underweight causes serious health problem and can be fatal if not treated on time. Studies suggest anorexia has the highest mortality rate as compared to any other mental disorder. Bulimia nervosa, also referred to as Bulimia is characterized by frequent and recurrent episodes of eating colossal amounts of food followed by purgative behaviour such as forced vomiting. People with Bulimia use food as a coping strategy to manage their feelings. It is often accompanied by the feeling of guilt, disgust, and lack of control. Bulimia can be more difficult to spot as the sufferer may not lose weight in the same way as in anorexia. Binge Eating Disorder: People with this disorder have recurrent episodes of binge eating but unlike anorexia or bulimia, it is not followed by any weight loss actions like force vomiting, over-exercising or fasting. They suffer from a lack of control and eat more food than intended even when they are not hungry. 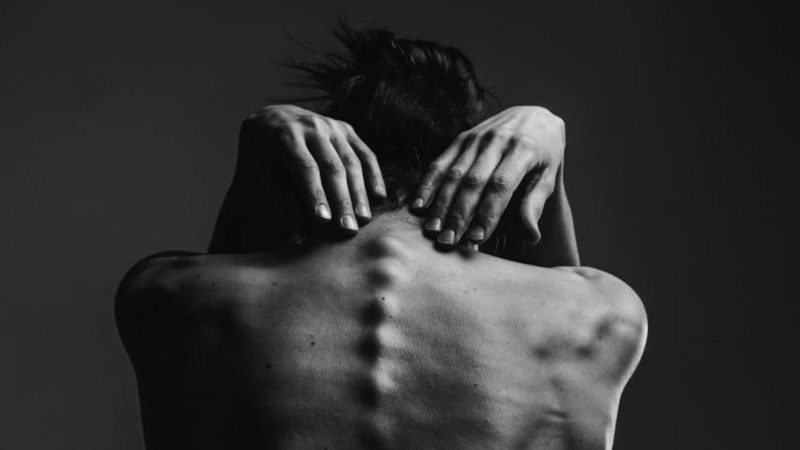 Eating Disorders Not Otherwise Specified (EDNOS): People with EDNOS have similar symptoms and behaviors, or mixed features of both anorexia and bulimia, or irregular eating behaviors that are not characterized by either of the other established disorders. They face the same threatening risks and in fact, EDNOS is the most prevalent eating disorder. Genetics: People who are born with a specific genotype are at an increased risk of developing eating disorders. Major life changes and stressful situations like troubled relationships, new job etc. Because of the severity and complexities of these conditions, it is vital to have a psychologist or mental health professional treatment to help normalize one's eating patterns. Cognitive behavioural therapy: It seeks to challenge the negative thought pattern and help the person become aware of the relation between thoughts/ feelings and their actions (eating in this case). It enables them to change the way they think about food and themselves. Dialectical behavioural therapy: It is a modified form of Cognitive behavioural therapy. It aims to help the person to learn to manage their negative emotions in a constructive manner. People with eating disorder use food as a stress coping mechanism and with the therapy, the person learns to manage his/ her emotions. Family-based therapy: Since the majority of people suffering from eating disorders are teenagers and young adults, it is vital that family members understand how to help and support the person suffering from the condition. Nutrition education: Nutritionists and dieticians could help the person understand how nutrition affects their body and how the eating disorder has caused nutrition issues and physical problems. Nutrition education aims to establish regular and healthy eating patterns in the person. The overwhelming increase in the number of teenagers with eating disorder iterates the need to raise awareness around the issue. Contrary to the general perception, males too suffer from eating disorders and generally don’t seek the treatment which worsens the situation. Like any other mental illness, eating disorder too deserves intervention because often the person suffering is unable to accept or recognize the disorder. Recovery is not a straight line. It is important that the family and friends are supportive and understanding during the recovery phase.